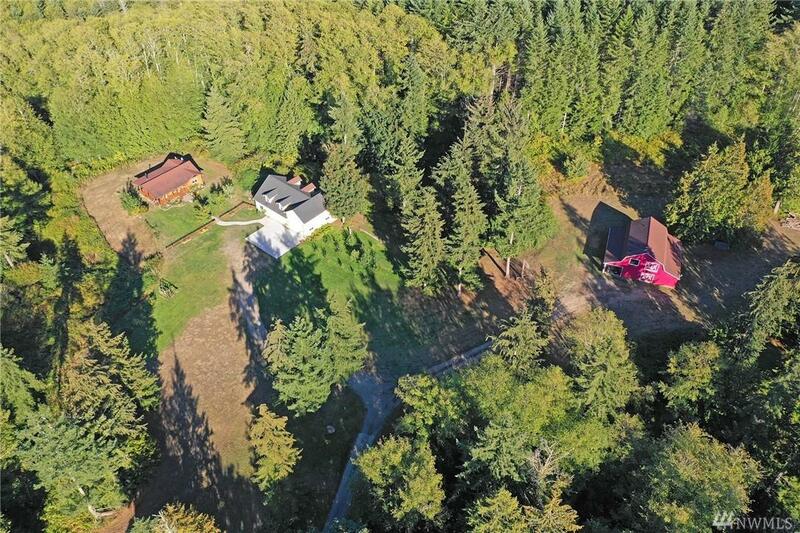 Exceptional combination of forested & cleared Acreage (40+), Privacy & Serenity! 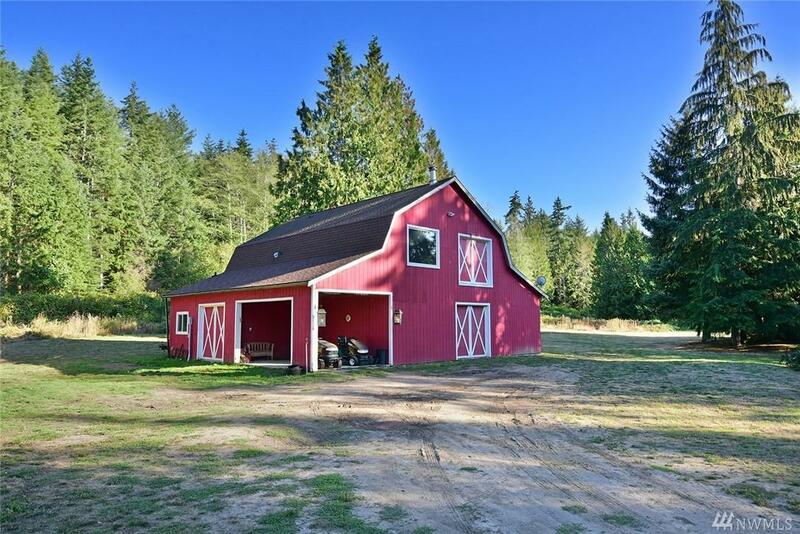 Add to this, on two parcels, a darling 908 Sq Ft w/ Olympic Mountain views, 3000+ Sq Ft R/V-Car Garage/Shop/Guest Quarters plus 4-stall barn (6 horses) with Living Quarters above. 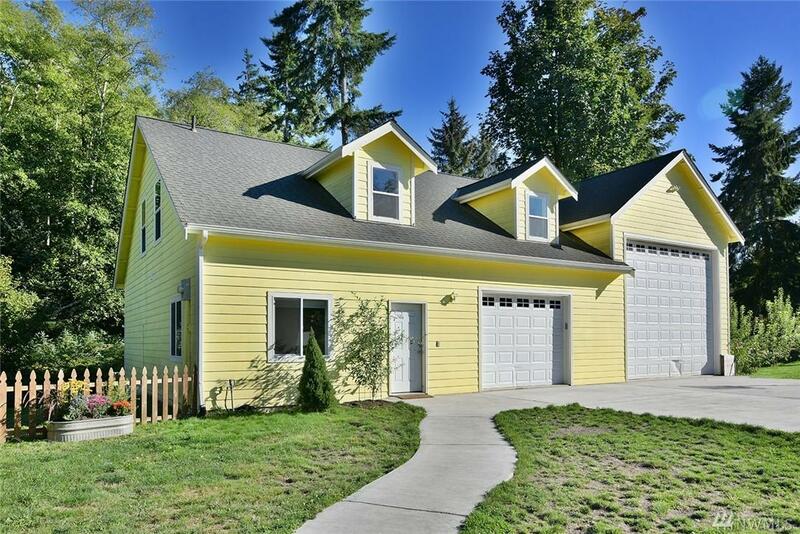 Just 10 min to Kingston and Poulsbo, 15-20 min to the Bainbridge Ferry, w/ the feel of being miles from anywhere! 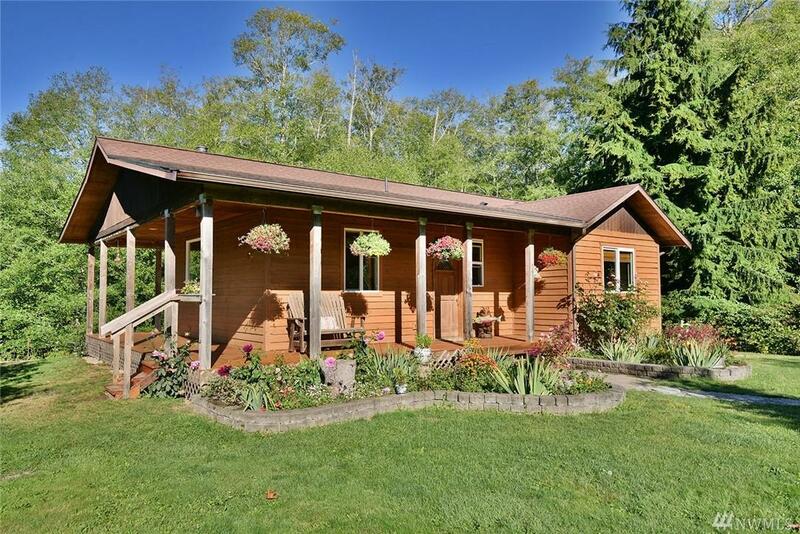 Both parcels have ideal building sites (cleared) for a main home which would also enjoy views of the Olympics.